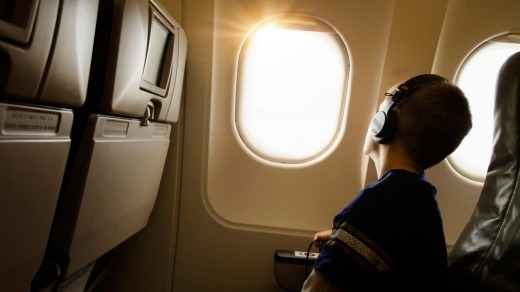 Can aircraft passengers be forced to close window shades? Flying to your destination used to be reserved for the rich and famous, now everyone, including the trouserless can enjoy the convenience of flight. 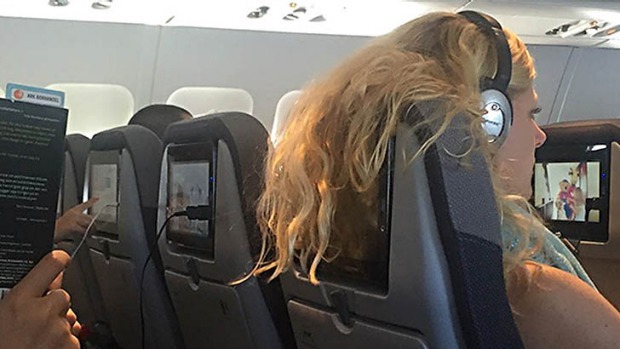 Apart from take-off and landing, when window shades must be open, the passenger sitting in the window seat decides whether or not they want their window shade open. During a long flight especially, there are times when cabin crew might ask passengers to close their window shades. They can't insist, there's no safety issue involved, but some passengers say they chose a window seat in order to see what's unfolding outside, and there is wonder and delight in the vision from an aircraft of the world's great mountain ranges and the everyday marvels of sunrise and sunset. An open window shade is unlikely to bother anyone except when all other shades are closed. On a long-haul overnight flight, such as the return trip from Europe to Australia, passengers experience a short night, which could be just five hours of darkness. Once the aircraft crosses from night into day, even a single open window shade floods the cabin with light. Since this is the pure light of the high troposphere, unfiltered by smog or clouds, it's more intense than the "normal" daylight at ground level. Sleepers without eye masks might be disturbed and anyone watching a video in close proximity might experience a de-saturated screen. Even more unsettling, cabin crew sometimes open all window shades after a short-night flight, and several hours before arrival. Why do it? Breakfast service might be an hour away, and you'd have to be an Olympic-class sleeper to remain in dreamland after that. Modern Boeing 787 Dreamliner jets have a major advantage in these situations: the planes feature electric dimmers that can lower the brightness of the light outside so that it doesn't disturb other passengers, but allows those in the window seats to still see out. During take-off and landing, the shades need to be open for safety reasons - passengers and crew need to be able to see outside in an emergency, to ensure it's safe to exit. A fire in an engine, for example, would mean emergency exits over the wings can't be used. Softer and gentler on the eyes, LED lighting can be tuned to different colours in the spectrum. Some airlines alter the colours to mimic the time of day at the destination – from cool and bright at midday to softly glowing colours at dawn and dusk. LED lighting is also lighter and uses about half the power of fluorescent lighting.